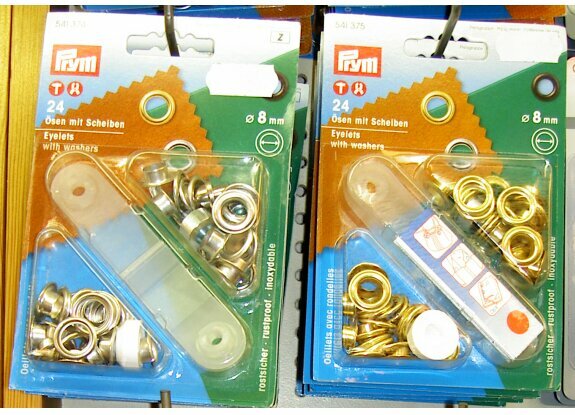 Eyelets with washers for awnings and sunblinds etc. The fabric is sewn, folded and the ring pressed into the fold. We have 4 mm, 5 mm and 11 mm versions.